When you need to make a statement you need a Geo Wall. From 3m x 2m and up the Geo Wall is a great way to make a high impact impression. With great size come great flexibility! Split your Geo Wall into multiple areas to show different content at the same time. Geo Walls are great for scoreboards, advertising space and live TV streams. Click here for more info on the Geo Wall. Viewers recall ads up to 89% of the time. How often do we see dull and uninteresting content in store windows? It's time to get rid of old window graphics and tired posters. Every business has something to shout about and the Geo Plinth is the perfect medium to do that. Give your business the boost it deserves and the experience your customers want! Click here for more info on the Geo Plinth. Digital signage generates 32% more instore traffic. Stand out from your competitors at your next event. You often have a small window to make an impression and draw potential customers into your stand. User-generated content such as social media and testimonials can help get them there much quicker - and video walls are the best way to showcase this! Click here for more info on video wall rentals. Reach more customers than videos on social media. Brightness is paramount when using outward facing displays. Our window displays are up to six times brighter than a standard home TV allowing easy readability in direct sunlight. Perfect for storefront windows or outdoor enclosures. Click here for more info on digital window displays. Stunning freestanding HD displays that are quick to set up and extremely user-friendly with 'plug and play' functionality. Fitted with commercial grade LCD panels that provide a wide viewing angle, stunning colour, contrast and brightness. 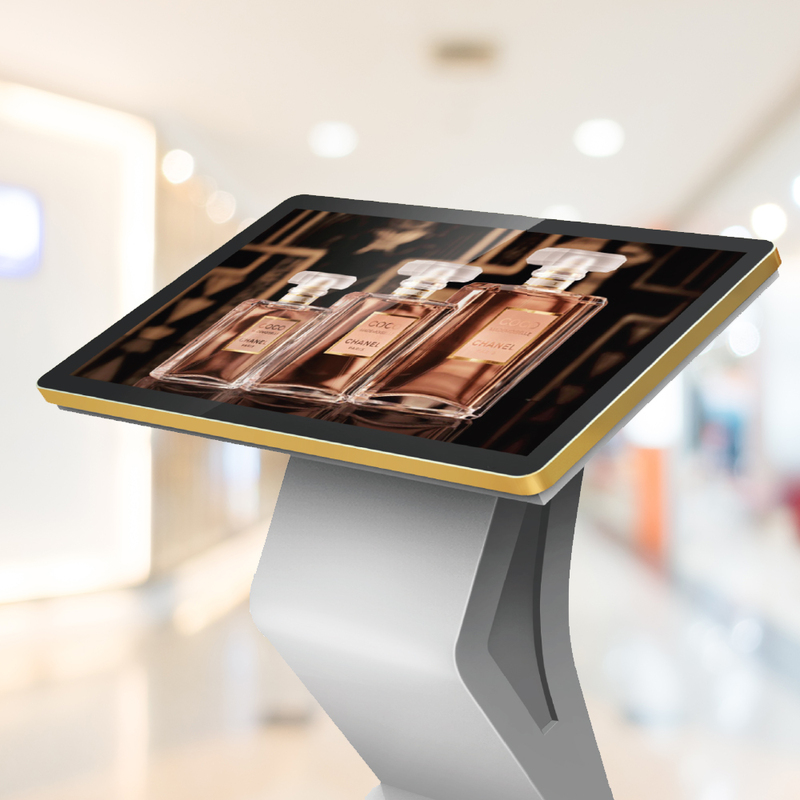 Click here for more info on indoor digital plinths. Digital signage is not just for your window. Digital touchscreens let you bring this technology indoors. Customers often prefer to browse alone. Touchscreens enable this, with your team on hand to offer assistance. Click here for more info on digital touchscreens. CUSTOMERS DON'T JUST LOOK - THEY ENGAGE.